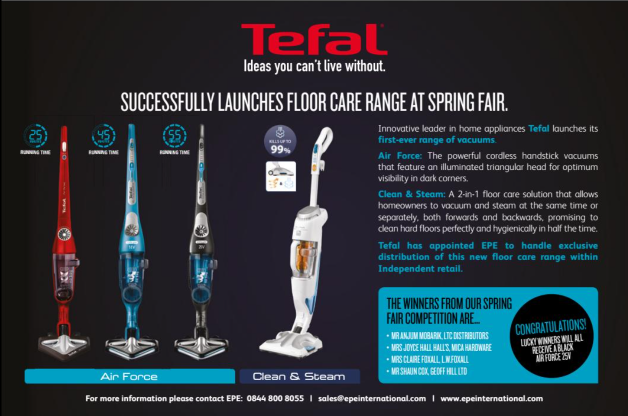 Tefal launched their new range of floor care at the spring fair. Tefal were also featured in the March issue of Get Connected. To get more information on the new Floor Care range visit the Tefal Website. EPE have been appointed by Tefal to handle the exclusive distribution of this new Floor Care range within Independent retail.